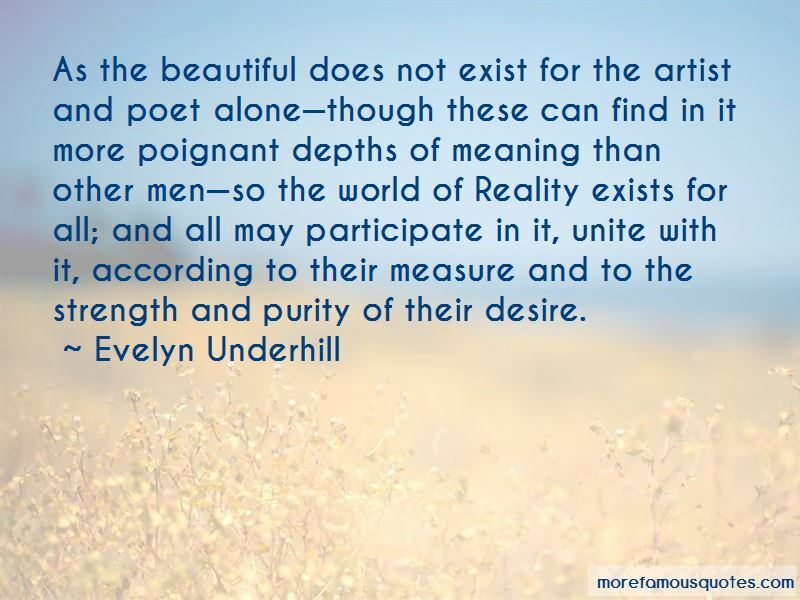 Enjoy the top 104 famous quotes, sayings and quotations by Evelyn Underhill. All artist of some measure contemplative. It seems so much easier in these days to live morally than to live beautifully. Lots of us manage to exist for years without ever sinning against society, but we sin against loveliness every hour of the day. The determined fixing of our will upon God, and pressing toward him steadily and without deflection; this is the very center and the art of prayer. Much is now being said about evangelism; but before we get effective evangelism, we have to get effective evangelists. Evangelism is useless unless it is the work of one devoted to God, willing and glad to suffer all things for God, penetrated by the attractiveness of God. New machinery, adaptations and adjustments, are not the first need ... but more devoted, adoring, sacrificial souls. It is far easier, though not very easy, to develop and preserve a spiritual outlook on life than it is to make our everyday actions harmonize with that spiritual outlook. For though we may renounce the world for ourselves, refuse the attempt to get anything out of it, we have to accept it as the sphere in which we are to co-operate with the Spirit, and try to do the Will. But so many Christians are like deaf people at a concert. They study the programme carefully, believe every statement make in it, speak respectfully of the quality of the music, but only really hear a phrase now and again. So they have no notion at all of the mighty symphony which fills the universe, to which our lives are destined to make their tiny contribution, and which is the self-expression of the Eternal God. I do hope your Christmas has had a little touch of Eternity in among the rush and pitter patter and all. It always seems such a mixing of this world and the next - but that after all is the idea! 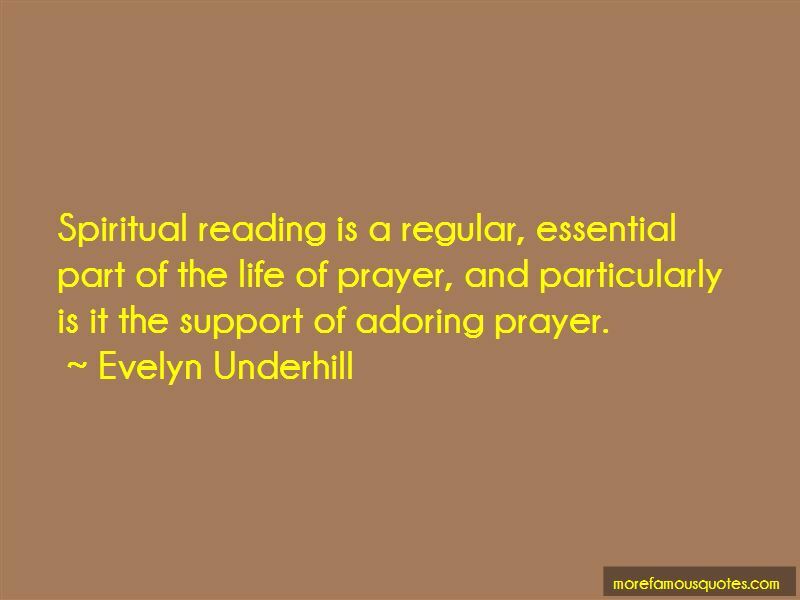 Spiritual reading is a regular, essential part of the life of prayer, and particularly is it the support of adoring prayer. If we ask of the saints how they achieved spiritual effectiveness, they are only able to reply that, insofar as they did it themselves, they did it by love and prayer. The soul's house is not built on such a convenient plan; there are few soundproof partitions in it. Only when the conviction - not merely the idea - that the demand of the Spirit, however inconvenient, rules the whole of it, will those objectionable noises die down which have a way of penetrating into the nicely furnished little oratory and drowning all the quieter voices by their din. No metaphysician has yet shaken the ordinary individual's belief in his own existence. The uncertainties only begin for most of us when we ask what else is. The mystic cannot wholly do without symbol and image, inadequate to his vision though they must always be: for his experience must be expressed if it is to be communicated, and its actuality is inexpressible except in some hint or parallel which will stimulate the dormant intuition of the reader. 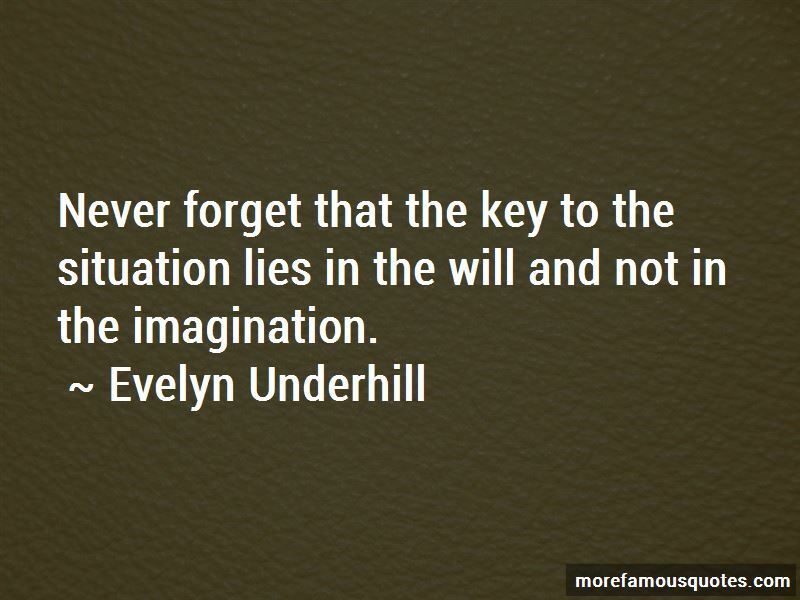 Want to see more pictures of Evelyn Underhill quotes? 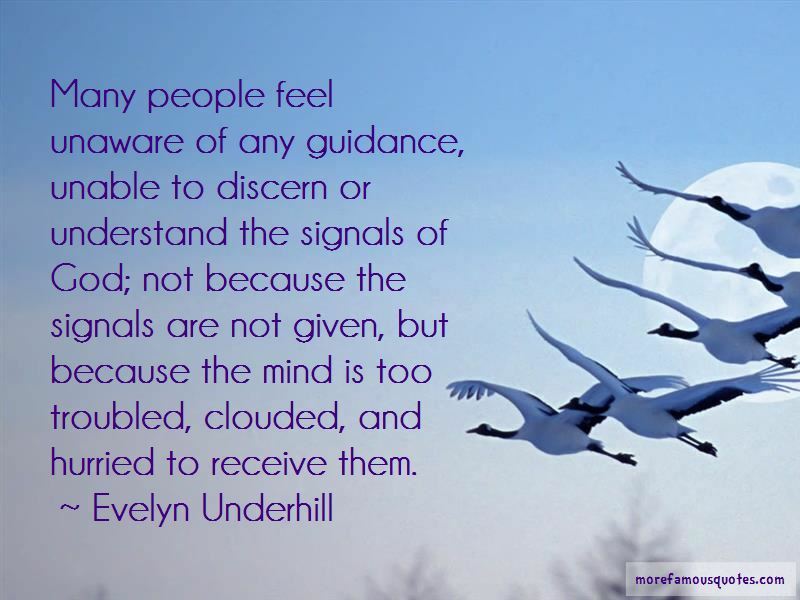 Click on image of Evelyn Underhill quotes to view full size.